What Does the New 2018 RDX Offer? If you enjoy the finer things in life, the new RDX is the perfect antidote, as noted by 2018 Acura RDX reviews. Offering everything from high-end features and traffic-stopping good looks to a powerful, yet fuel-efficient, engine, the RDX is your first-class ticket to luxury. It comes in one single trim and is available with three optional packages: AcuraWatch Plus, Technology and Advance. 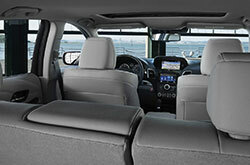 Continue reading to learn more about this dynamic SUV. Every 2018 Acura RDX in Phoenix comes standard with 18-inch wheels, automatic LED headlights, rear privacy glass, a power liftgate and a sunroof that makes star-gazing fun again. The interior is also packed with high-end amenities, including dual-zone automatic climate control, heated power front seats and a leather-wrapped steering wheel, to name just a few. Excellent connectivity and entertainment features like Bluetooth, a USB port and a six-speaker sound system will make your drives even better. To see what other nifty tech is available on the 2018 RDX, visit us today! 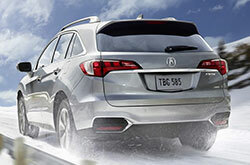 2018 Acura RDX reviews call the vehicle's engine "brilliant" thanks to its ability to deliver gutsy acceleration while also maximizing fuel economy. 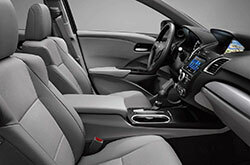 The five-passenger crossover's 3.5-liter V6 delivers 279 horsepower and 252 pound-feet of torque. It's matched to a smooth six-speed automatic transmission that pushes power to the vehicle front wheels. All-wheel drive can also be had for an additional cost. 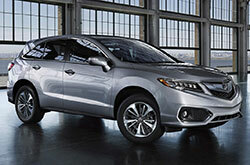 Acura places a huge emphasis on safety and it shows in the 2018 Acura RDX in Phoenix. Valley drivers who purchase the RDX will be able to enjoy a slew of top-tier safety systems like antilock brakes, front side airbags, side curtain airbags, active front head restraints, and stability and traction control. There's also a rearview camera for added convenience when parking or backing up. Optional safety gear includes blind-spot monitoring and forward collision mitigation with automatic braking. Considering a new car lease in the Phoenix area? If so, don't just check out the 2018 Audi Q5, Cadillac SRX, BMW X3, Infiniti QX30 and the Volvo XC60; be sure to contemplate the radiant 2018 Acura RDX too. It could be a terrific match for you, due to its five-star onboard technologies and fun-loving persona. 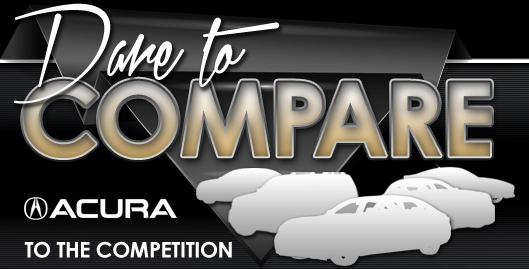 Now that you're almost through with our 2018 Acura RDX review page, make sure to check out great short-term lease incentives offered at Acura of Peoria! 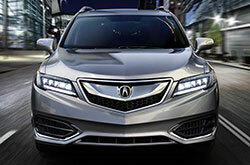 Want to drive a Acura RDX and looking for attractive incentives? Then remember to visit us straightaway! When making your final buying decision, we hope our 2018 Acura RDX review offers the info you to make an informed purchase. It's undeniable that the beautiful new Acura RDX is worth considering; visit for a test spin at Acura of Peoria to see the brand-new model upfront. If you're eager to see it before your visit, view its design and see how it's appointed in the included video.